Capdell's Mesana table comes in three sizes and can be ordered in special sizes upon request. It modulates into a conference table or long workstaion, with slots in the surface ideal for power cords and outlets. Michele De Lucchi designed the 298 chair for Milan's soon-to-open UniCredit Pavilion. Produced by Cassina, it's finished and assembled by hand, with a beech frame and steel mechanism that allows for easy folding and storage. Made of a plastic shell seat, Poliform's classic Strip chair, designed by Carlo Colombo, can be paired with one of three options: a revolving base, one without wheels, or a chromed metal tubular structure. A nod to Thonet's signature bentwood armrests, Vitra's Allstar task chair by Konstantin Grcic comes with a plastic loop frame in an eye-popping palette. It's fully adjustable, with settings for seat depth, height, and backrest. Stockholm-based studio Form Us With Love designed a series of acoustic panels for Baux. They come in five different patterns and a palette of 22 colors inspired by the natural beauty of the Scandinavian landscape. 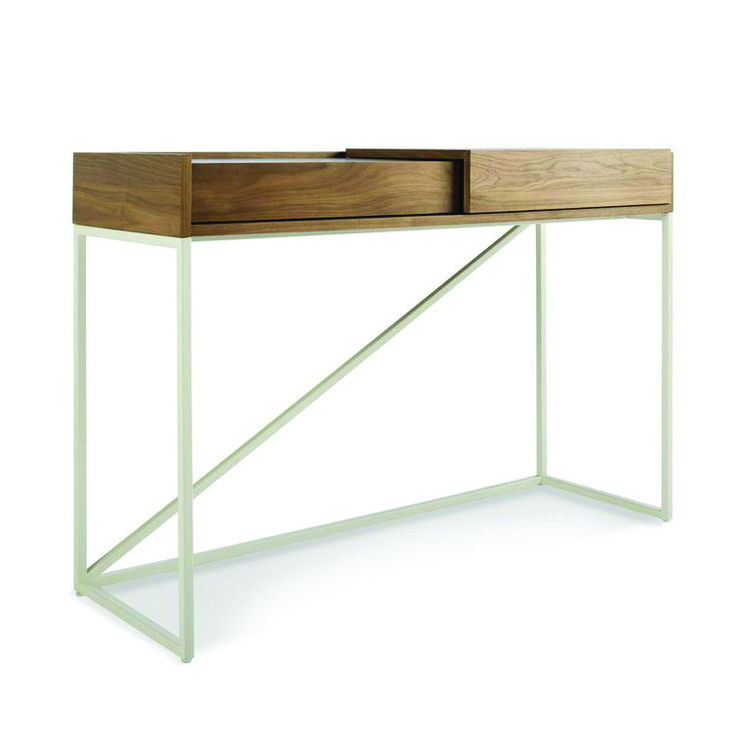 A sliding top that reveals storage space is a defining feature of Blu Dot's Swish console desk. 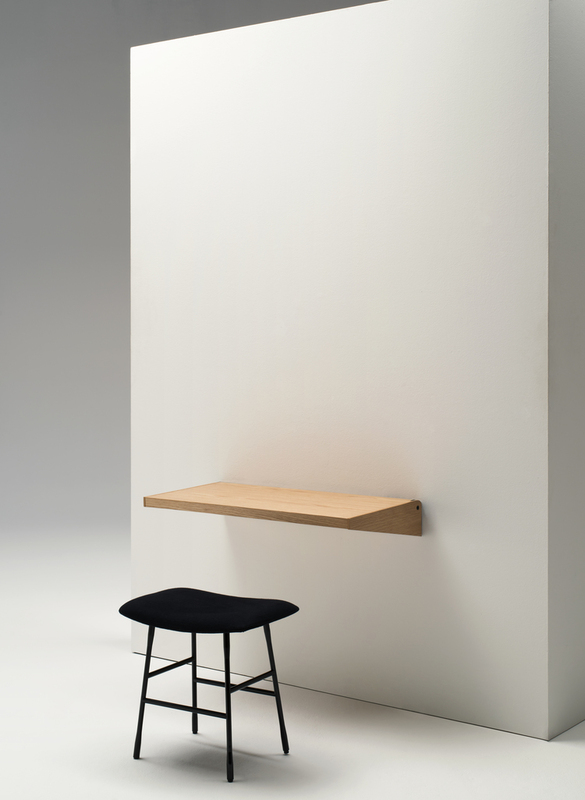 It's made of a powder-coated steel base and two tabletop finishes: walnut veneer (shown here) and white-washed ash. 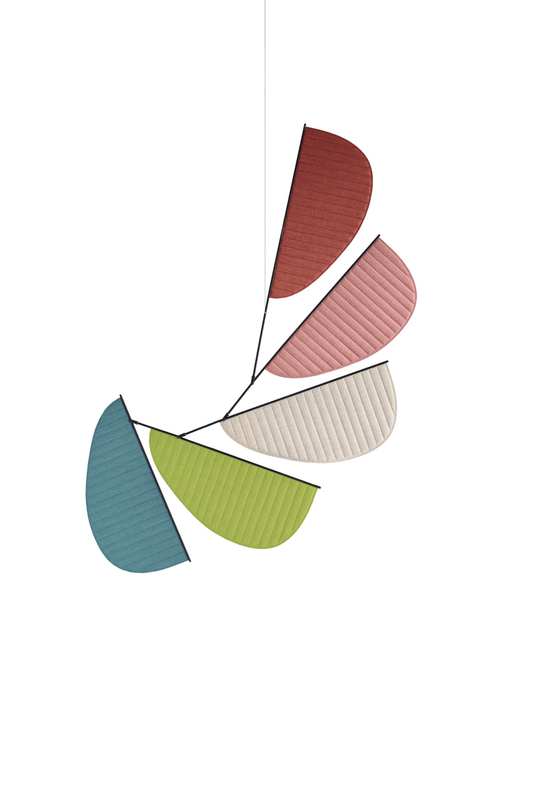 Inspired by artist Alexander Calder's hanging mobiles, the Screen System designed by Gam Fratesi for Cappellini is multifunctional: The colorful panels can serve as a centerpiece, room partition, or acoustic panel. The latest addition to Piero Lissoni's Lochness collection for Cappellini, this desk comprises a metal base and oak tabletop available in three finishes. A chest of drawers can be added on for extra storage. 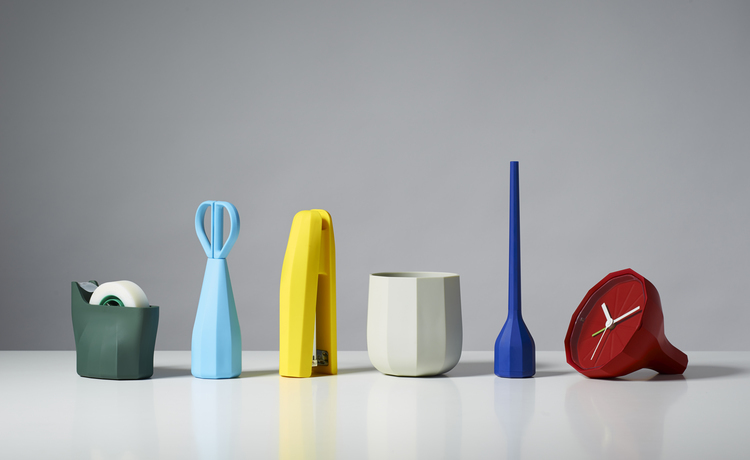 Part of Australian studio Daniel Emma's D.E. 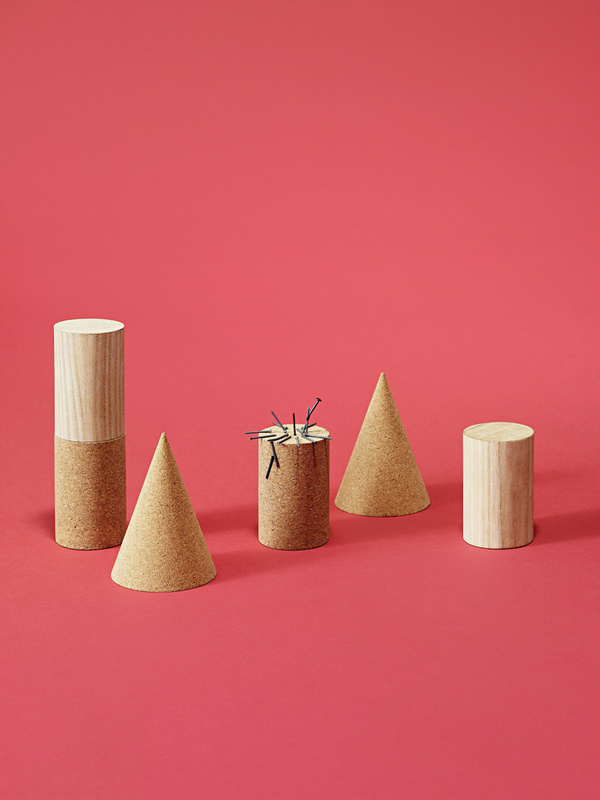 collection of desk accesories, the Cork Cone and Magnetic Tower are now available from Wrong For Hay. The platonic solids make for a handy ornament, or stash for paper clips and tacks. Updated by firm Lievore Altherr Molina, Arper's Duna chair comes with a new plastic shell in a range of colors. Its seat comes as a fixed front-face upholstered seat option, or paired with a removable accessory cushion. With a swivel joint that allows it to be used as a small workspace or flipped up to reveal a slim shelving unit, Living Divani's wall-mounted Dju by Kasch Kasch makes for an ideal space-saving solution. Designed by Naoto Fukasawa for Geiger, the Saiba chair is available as a fixed-height lounge chair with a four-star base and glides (shown here), or an adjustable-height executive chair with a five-star base and casters. 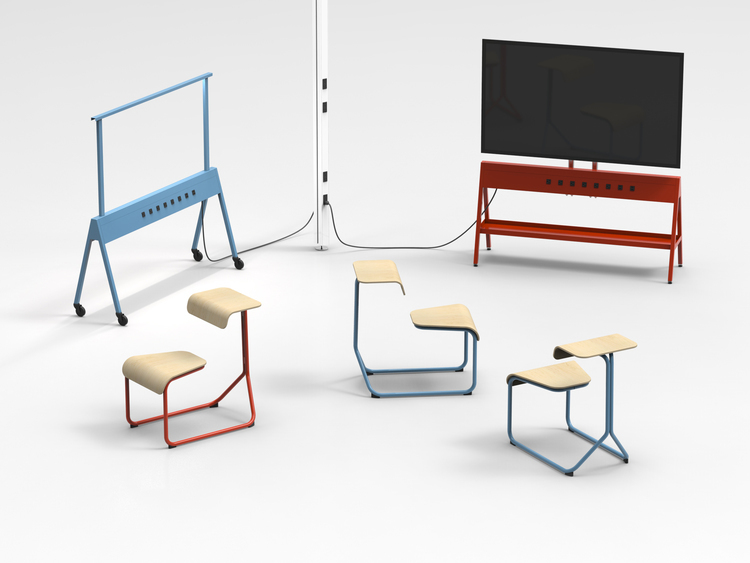 At Chicago's NeoCon this month, Knoll will debut Antenna Design's Horsepower, an adaptive office system comprising mobile units: seating, whiteboards, video displays and a sawhorse with plug-in USB power for a flexible work environment. 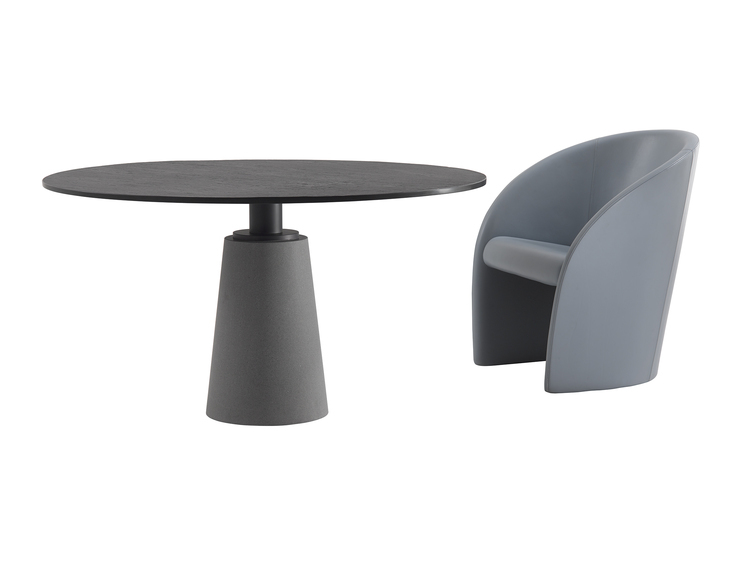 Designed by Lella and Massimo Vignelli in 1985, the Mesa table is now back in production by Poltrona Frau. Made of Ligurian slate and burnished steel, it's shown here with another of their designs, the Intervista chair. Designed by Samuel Wilkinson, Lexon's Babylon line of compact desk accessories is made from thick injection-molded ABS with a soft-touch matte-finish. The faceted shapes of each piece were inspired by forms of rock strata. Designed by Luca Nichetto, LAB by Emmegi's Smarty collection includes a desk and modular cabinets that can be combined in varying configurations. Wood surfaces and pastel cabinet doors give it a playful, friendly character. Named after the Spanish word for a covered carriage, Sancal's Tartana acoustic dome is constructed with a rounded ash structure and three-layered felt overlay for optimal sound absorption and privacy. An ergonomically refined, molded polypropylene shell and stained oak legs make up Wrong for Hay's Neu 13 chair. The seat comes in a range of colors: black, white, gray, green (shown here), bordeaux, and orange.